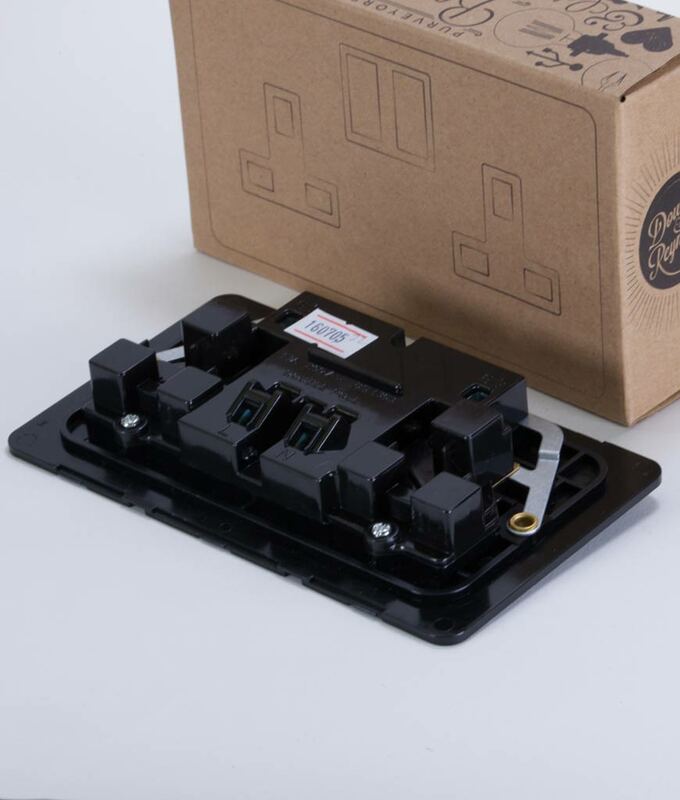 If you’re looking for an industrial style alternative to your mundane white plastic electrical sockets, then our exclusive smoked gold double sockets are just the job. 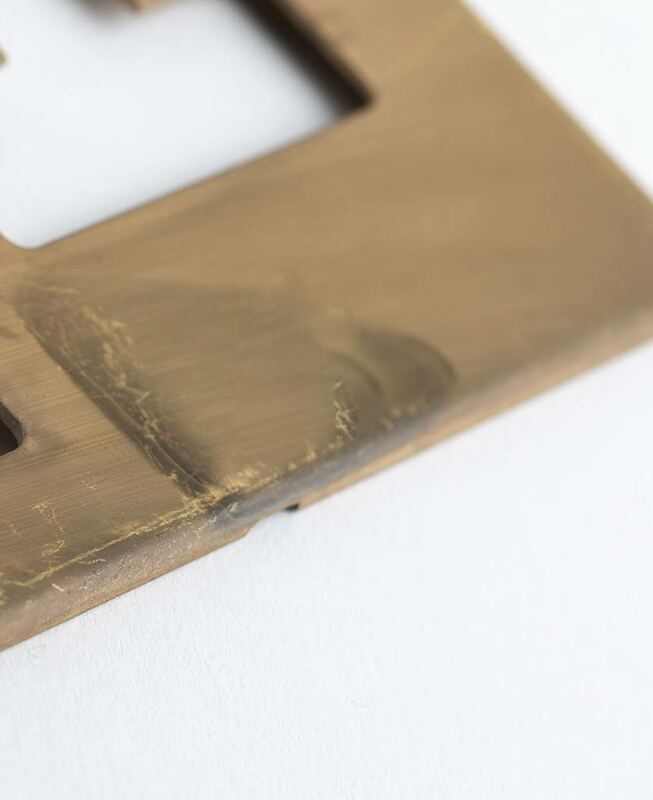 Each features a beautiful rolling pattern of matt gold and charcoal black that transforms these traditional brass sockets into the truly contemporary pieces. These smoked gold double plug sockets show off your creative eye for detail. 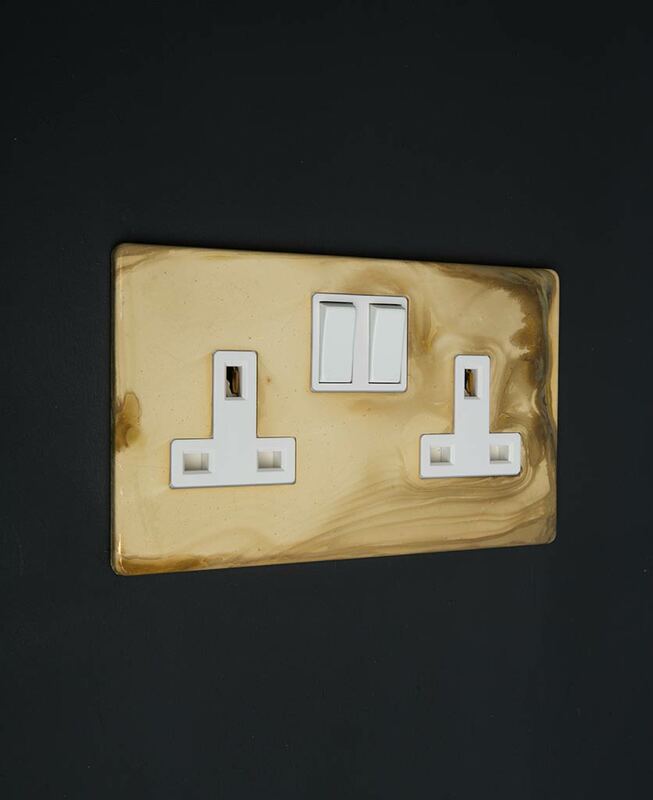 Our smoked gold double socket is a beautiful way to integrate electrical points into your space, rather than have to spend time and energy disguising them. Most of us put up with the standard white sockets installed in our homes but redecoration of a room is the perfect time to take these into consideration. And they’re not as hard to change as you might think – it’s a straight-forward job for an electrician. If you’re going to the trouble of changing your electrical points – why not do it in style. 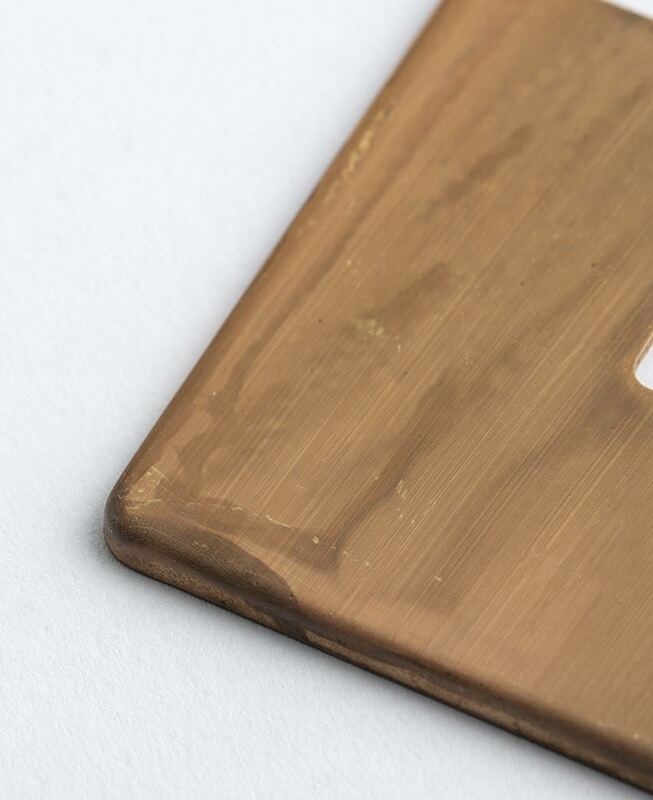 Really go for it with some of our smoked gold and black sockets. A beautiful take on a plug socket, almost a tiny piece of art in its own right. Each is unique so you’ll never get tired of gazing at them. Whilst you’re at it, why not upgrade your light switches too, we have a whole range of smoked gold switches; toggles and dimmers. Stunning. We love how the smoked finish of our plug socket hints at the bygone ‘Gatsby’ era. The faded glamour of smoke-filled, swinging parties. 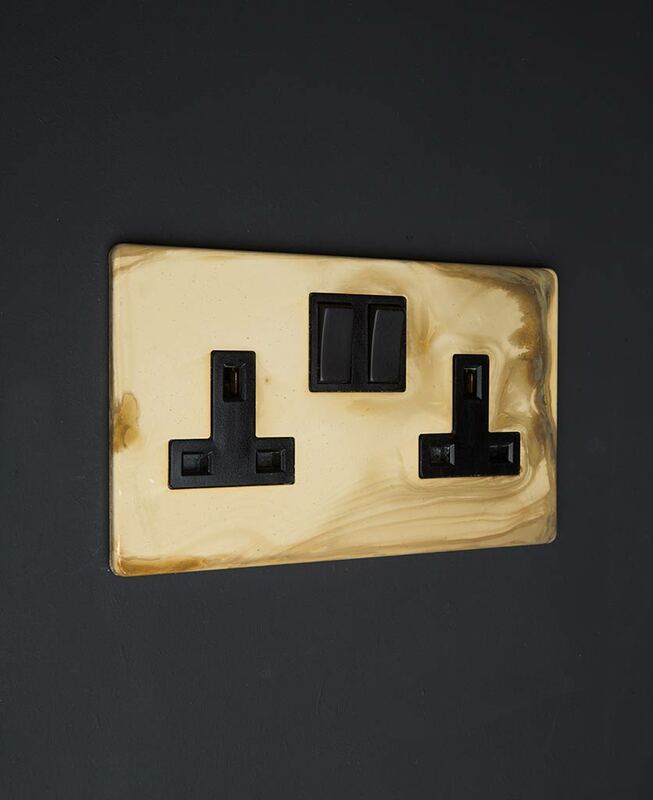 Showcase your smoked gold plug socket against indulgently bold complimenting interiors. Colours from this 1920’s era were softer, more faded versions of the stronger Victorian colours we know. Lighter, natural and more jovial somehow. Smoked gold and black looks amazing against soft aubergine, warm stone, and coffee browns.